School is Starting! Some Goodies I Use Going Back to School! I want to share with you some of my favorite products that I have in my Teachers Pay Teachers Store, that I use in the beginning of the year. I use these for seat work, beginning assessments, letter introduction, and for homework. This is a pack is all about letter sounds. 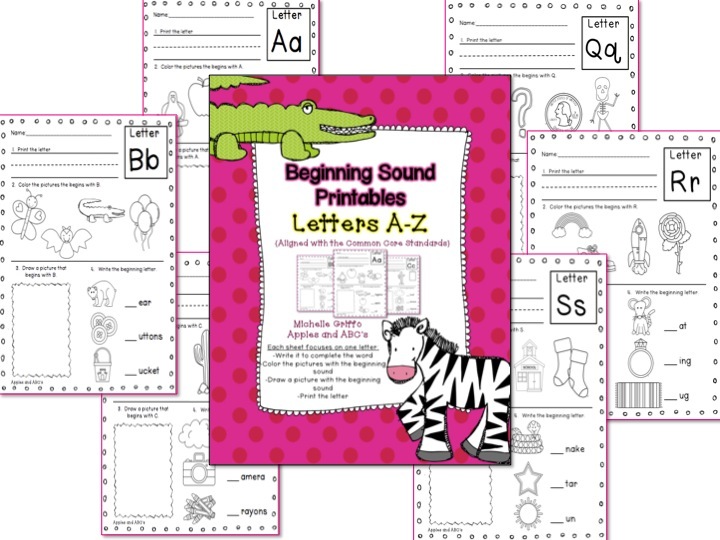 "Beginning Sound Printables" focuses on the letter sound itself, and the beginning sound in a word. The curriculum that my school uses, doesn't have enough options on each page, so I use my own instead. ;). You can check it out in my TpT Store HERE. I am really excited to use this with my students next year. 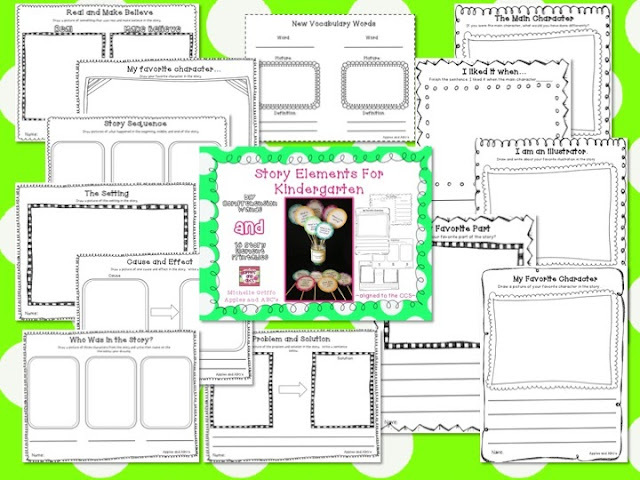 This pack, Story Elements for Kindergarten, have individual sheets that can be used with almost any read aloud. You can use them as an assessment after you read, to check for understanding. 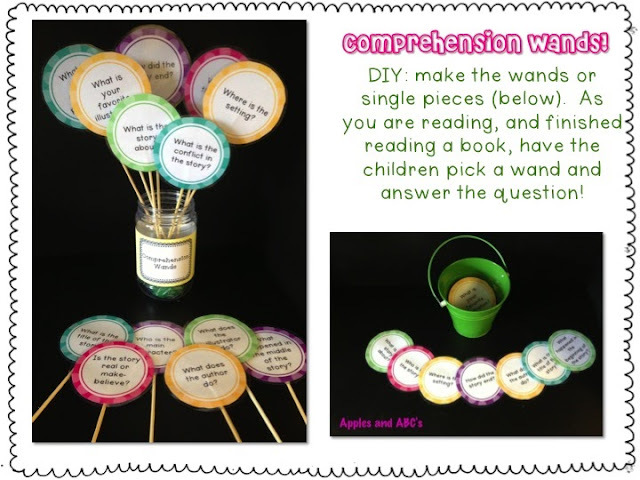 It also includes the DIY Comprehension Wands that you can make, and use to check for understanding as you are reading to the children. You can see this product it my TpT Store (here). My Hand Prints for the Year is a little activity that you can do with your students all year long. 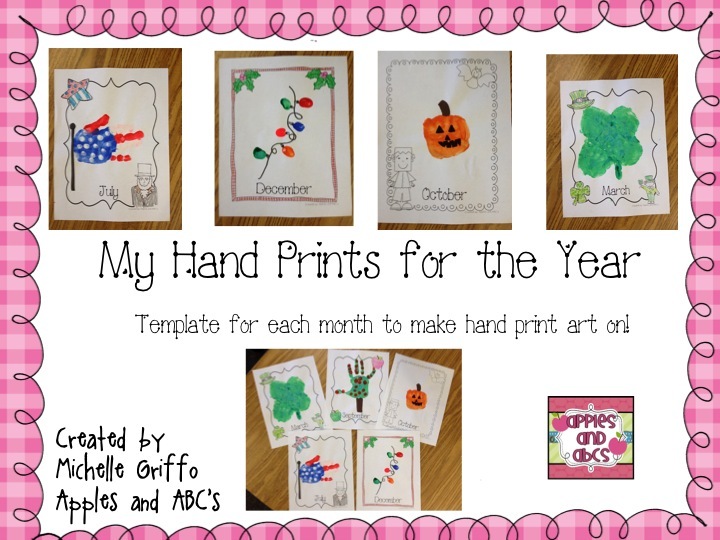 I made the background template for each month, and you can use them to make hand print art for each season! I save them and turn them into a book for the end of the year. The parents love it! 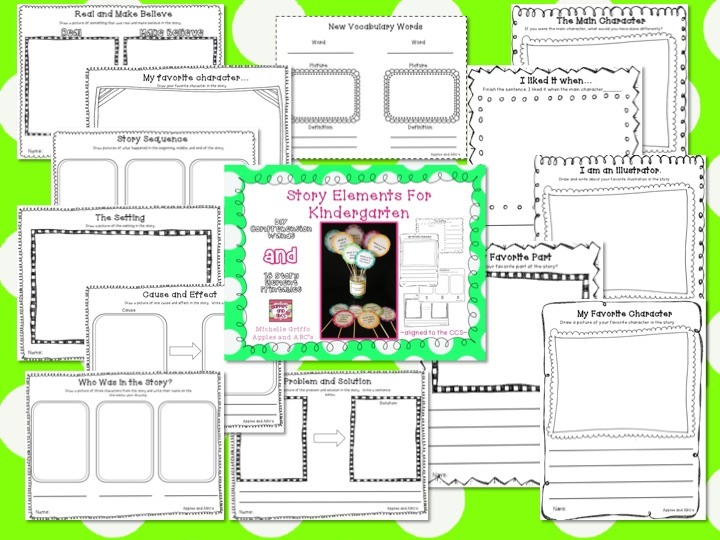 This is probably one of the main set of printables that I use, all year long. 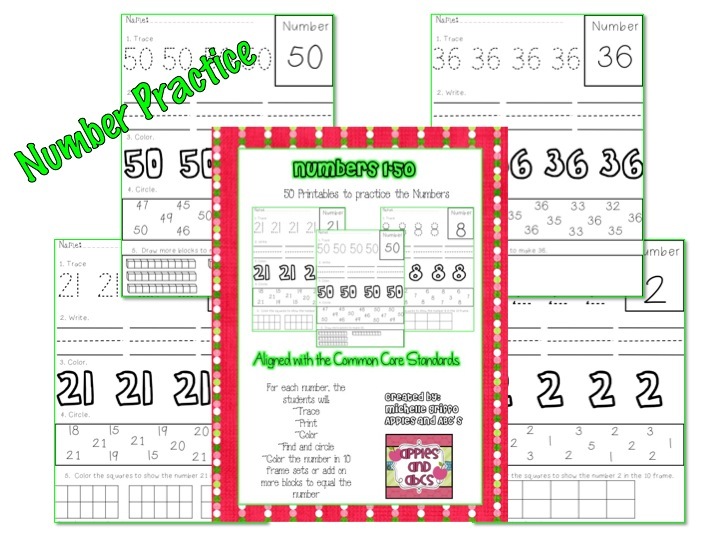 Numbers 1-50 is a pack designed to focus on one number at a time. The students have multiple tasks to do on each page, and after showing them what to do once, they can complete the rest of them independently. I use these for centers, homework, and to introduce each number. This pack is available as a bundled set, or sold separately. Click HERE to see the details! Here is the Upper and Lower Case unit, that is always a hit with the kids. This follows the same format as the number unit, but each page focuses on one letter. 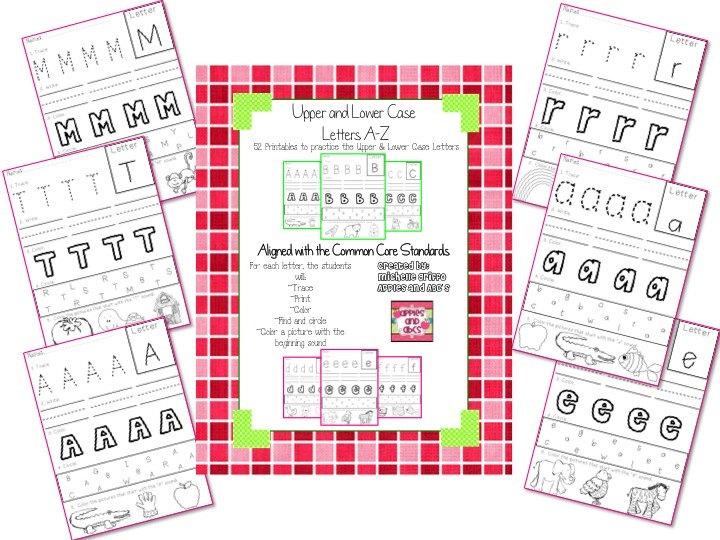 You can get the bundled set of upper AND lower case, or purchase them individually. I used these as I introduce each letter of the alphabet. I copy the upper and lower case letters back to back, and they can complete them as homework, center work, or for independent practice. Check them out HERE. 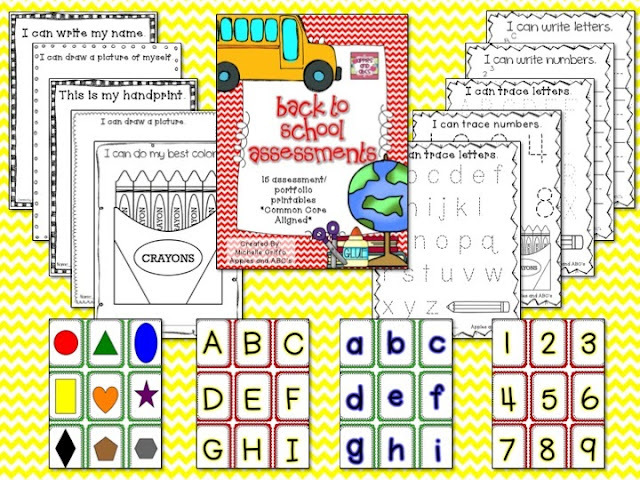 Last, but not least, is a Back to School Assessment pack. It covers all of the assessments needed for the little ones entering kindergarten! There is also, an owl themed version! This is really good information related to Consensus in Education. There are different kinds of points which i don't about this type of education. As a student we should have such information and i was looking the best source for cheap essay writing service australia and this will be sound good one for us. Happy to come here.